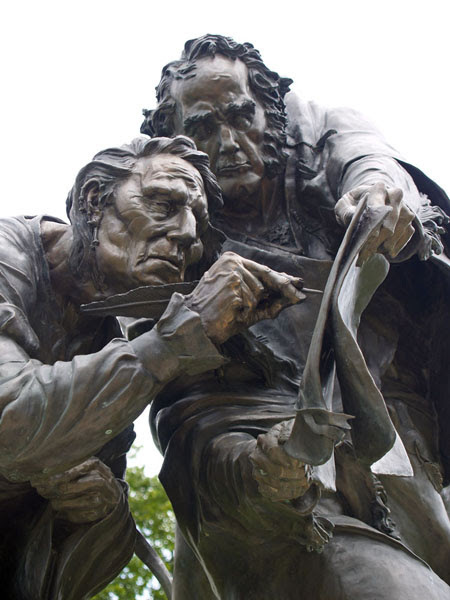 NEWS – Political & Current Affairs Blog Published by Celeste Greig. 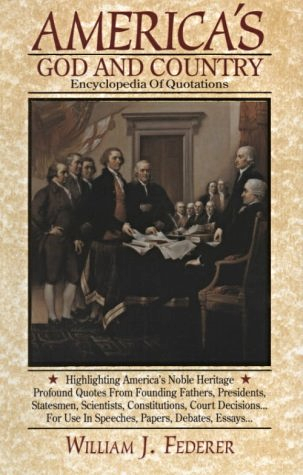 This is a great true story… a little bit long, but worth the reading! Please read this interesting story that is about to be made into a movie. The girl with the apples. A true story of survival from the Holocaust and the mysterious ways of God that drew people together here in America after their lives have touched in the dark days of Hitler. August 1942, Piotrkow, Poland. The sky was gloomy that morning as we waited anxiously. ‘Whatever you do, ‘Isidore, my eldest brother, whispered to me, ‘don’t tell them your age. deemed as a worker. An SS man approached me, boots clicking against the cobblestones. The left, where my three brothers and other healthy young men already stood. Me so much that, just this once, she pretended not to. It was the last I ever saw of her. were issued uniforms and identification numbers. Camp’s crematorium, loading the dead unto a hand-cranked elevator, I too, felt dead. Hardened had become a number. Soon, my brothers and I were sent to Schlieben, one of Buchenwald’s sub-camps near Berlin. to send you an angel.” Then I woke up, just a dream. A beautiful dream. But in this place there could be no angels. There was only work, and hunger, and fear. wire fence where the guards could not easily see. I was alone. On the other side of the fence, I spotted someone; a little girl with light, almost luminous curls. with rags wrapped around my feet, but the girl looked unafraid. In her eyes, I saw life. linger. To be caught would mean death for us both. I didn’t know anything about her, just a kind farm girl, except that she understood Polish. Nourishing it its way as the bread and apples. survived. Now, it was over. 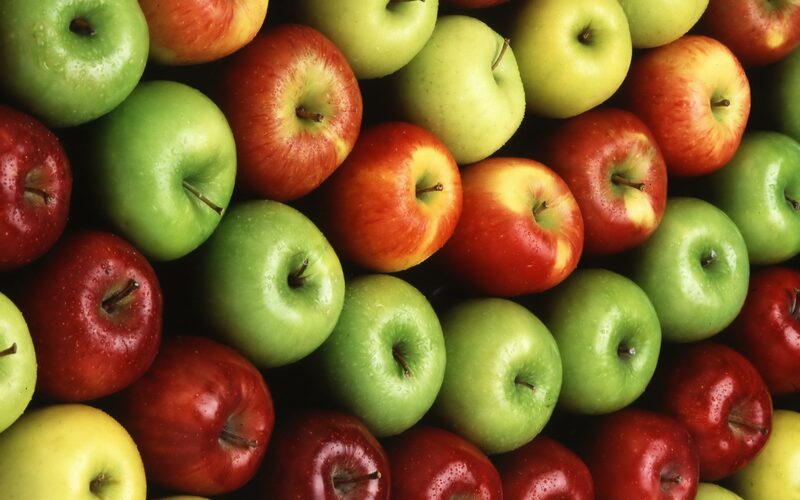 the apples had been the key to my survival. America, where my brother Sam had already moved. I served in the U.S. Army during the Korean War, and returned to New York City after two years. later we headed up to the Bronx to pick up his date and her friend Roma. I had to admit, for a blind date this wasn’t so bad. Roma was a nurse at a Bronx hospital. easy to be with. Turned out she was wary of a blind dates too! Atlantic breeze, and then had dinner by the shore. I couldn’t remember having a better time. subject. ‘Where were you, ‘she asked softly, during the world? ‘The camps.‘ I said. The terrible memories still vivid, the irreparable loss, I had tried to forget. But you can never forget. too, fear, a constant companion, and yet here we were both survivors, in a new world. every day.’ What an amazing coincidence that she had helped some other boy. 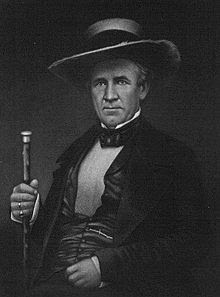 Sam Houston; The only man to serve as Governor of two states! which was sent to us by our good friend Shawn Steel, California Republican Party’s National Committeeman. 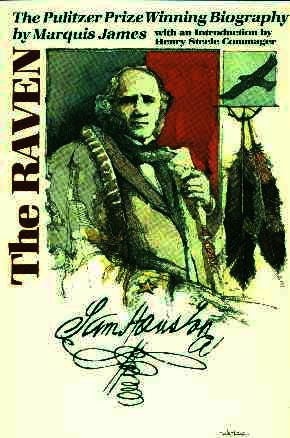 At age 16, after his father died, Sam Houston ran off to live with the Cherokee Indians on the Tennessee River. 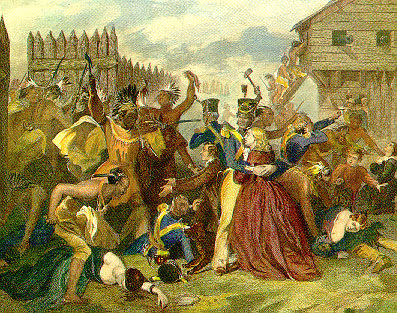 After the Massacre of Fort Mims, where Red Stick Creek Indians, supplied with British guns, scalped over 500 men, women and children, the U.S. government sent in General Andrew Jackson. 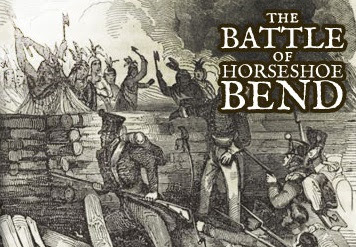 Sam Houston fought under General Jackson against the Red Sticks at the Battle of Horseshoe Bend on March 27, 1814. 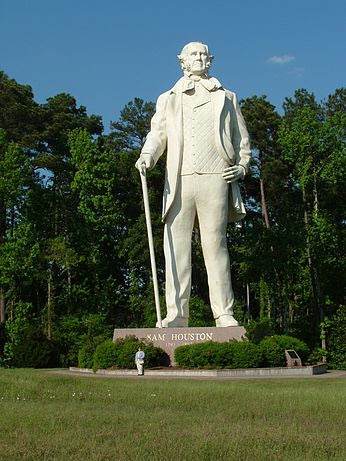 An arrow struck Sam Houston near his groin. 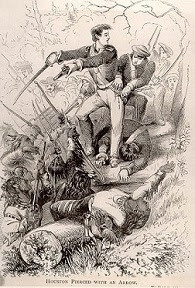 He had the arrow removed, was bandaged, then returned to the fight. He was then struck again with bullets in his shoulder and arm. 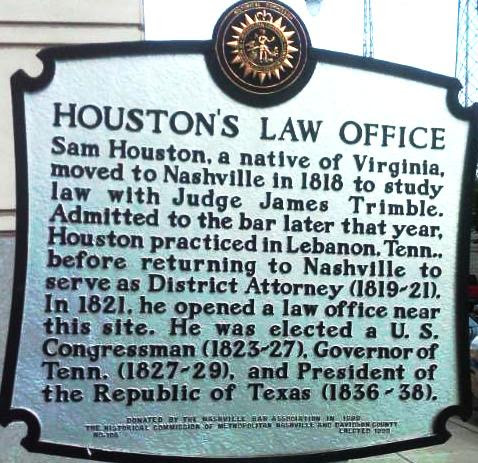 Sam Houston studied law under Judge James Trimble, passed the bar, and opened up a legal practice in Lebanon, Tennessee. 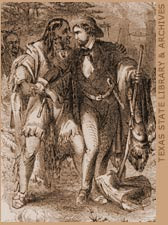 Houston was appointed the local prosecutor and was given a command in the state militia. 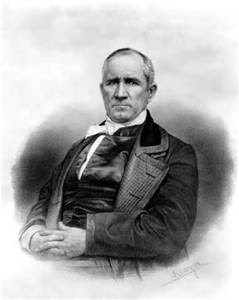 Sam Houston was elected to Congress in 1823, and became Governor of Tennessee in 1827. 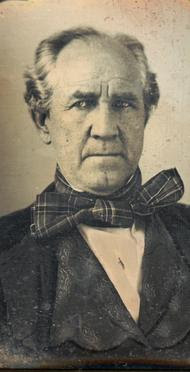 After a failed marriage, Sam Houston resigned and moved to the Arkansas Territory where he lived among the Cherokee Tribe. 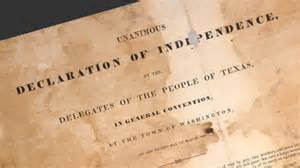 Understanding that Cherokee needed to be a “nation” in order for the U.S. government to honor a treaty, Sam Houston helped the Cherokee compose a constitution. 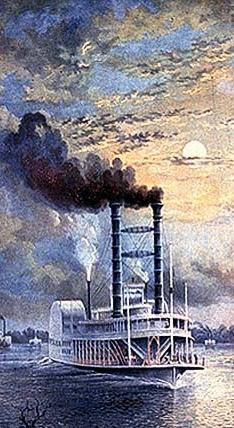 On December 27, 1831, Houston was a passenger on a steamboat where he met French writer Alexis de Tocqueville who was traveling throughout the United States. 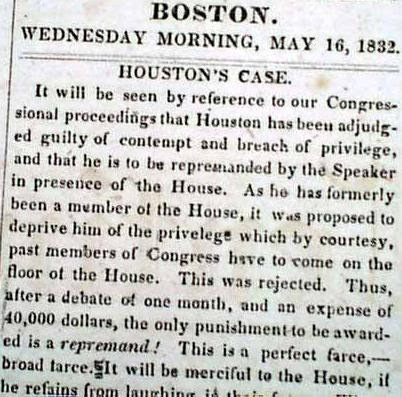 While visiting Washington, DC, a politician slandered Houston’s character resulting in an altercation and trial. 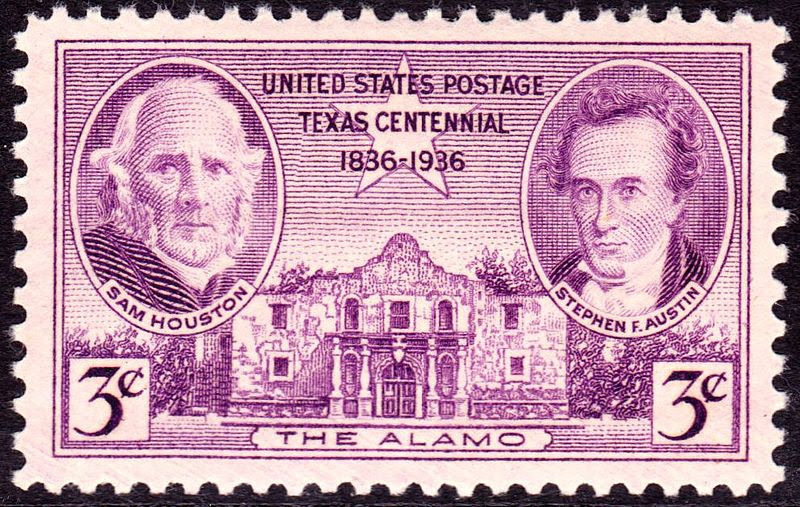 Francis Scott Key was Houston’s lawyer, and future President James K. Polk interceded for him, resulting in Houston getting off with a light reprimand and a fine of $500. 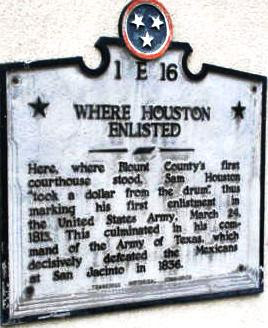 Rather than pay, Houston left town and traveled out west. 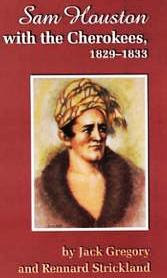 He married a Cherokee wife, but she refused to follow him to the Mexican Territory of Tejas. 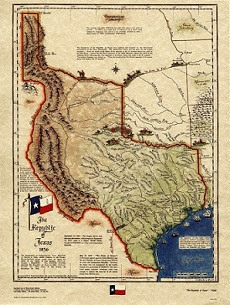 In 1833, in Nacogdoches, Sam Houston was baptized into the Catholic faith, which was a requirement to own property in the Mexican Territory. 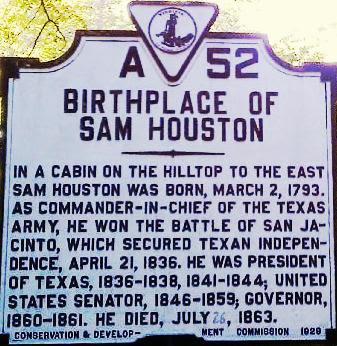 Sam Houston was made Commander-in-Chief to fight Santa Anna, culminating in the Battle of San Jacinto, April 21, 1836. 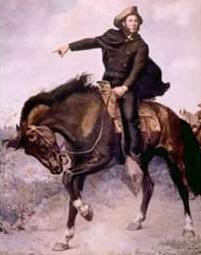 One report was that Sam Houston had three horses shot from under him. 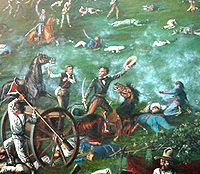 A bullet had shattered Sam Houston’s ankle, yet he continued the fierce attack. If…Mexico should signify her willingness to avail herself of our good offices in bringing about the desirable result you have described, nothing could give me more pleasure than to devote my best services to it. 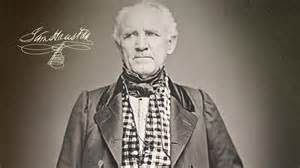 On OCTOBER 22, 1836, General Sam Houston was sworn in as the first President of the Republic of Texas. 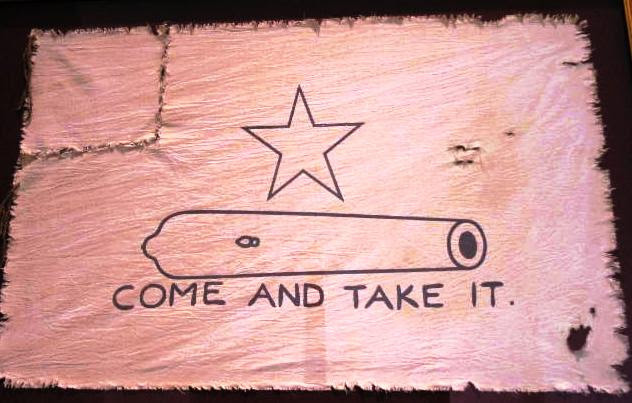 In 1846, Sam Houston became the first U.S. 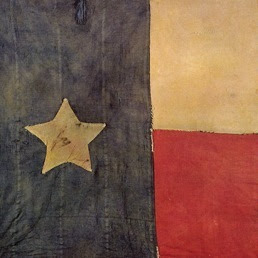 Senator from Texas, and in 1859 he was elected Governor. 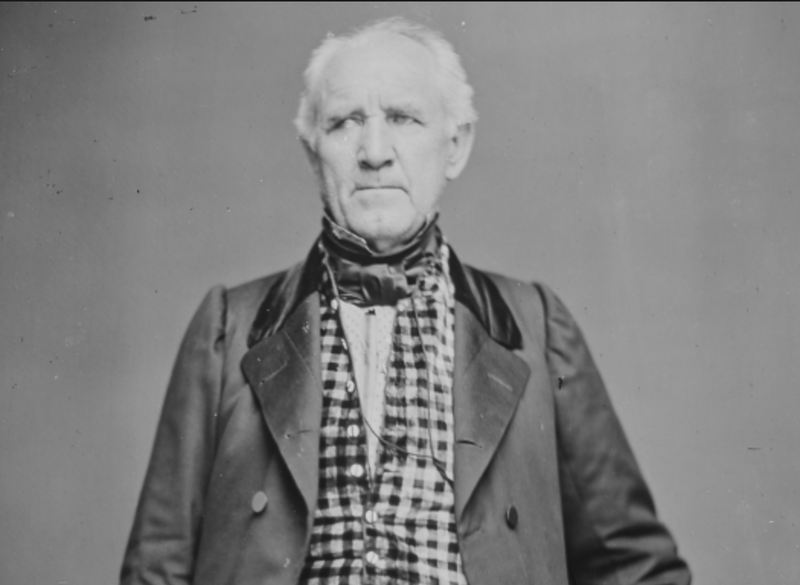 Sam Houston was the only person to have been “elected” the governor of two different States. 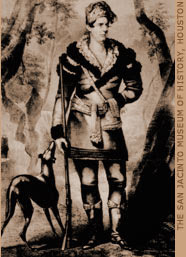 After receiving news that his Cherokee wife had died, Sam Houston married again in 1847. 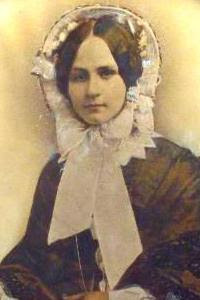 In 1840, at the age of 47, Sam Houston married 21-year-old Margaret Moffette Lea of Alabama, and together they had eight children. 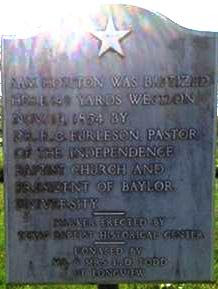 With the help of Baptist pastor George Washington Baines, Sr., great-grandfather of Lyndon Baines Johnson, Sam Houston’s wife Margaret convinced him to be baptized as a Baptist in Little Rocky Creek on November 19, 1854. 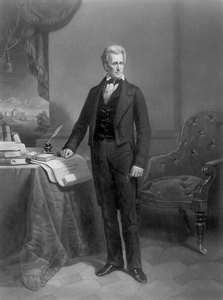 When he refused to join the Confederacy, he was removed from office on March 16, 1861. “Let me tell you what is coming. 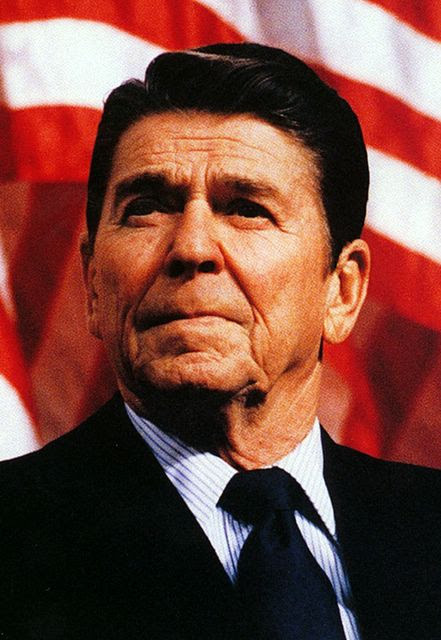 After the sacrifice of countless millions of treasure and hundreds of thousands of lives, you may win Southern independence if God be not against you, but I doubt it. 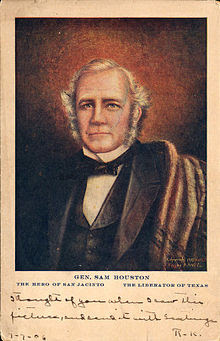 The city of Houston, Texas, the 4th largest city in the United States, is named for Sam Houston. So refreshing to see somebody from a liberal country, having the guts to expose a myth and a lie about global warming! 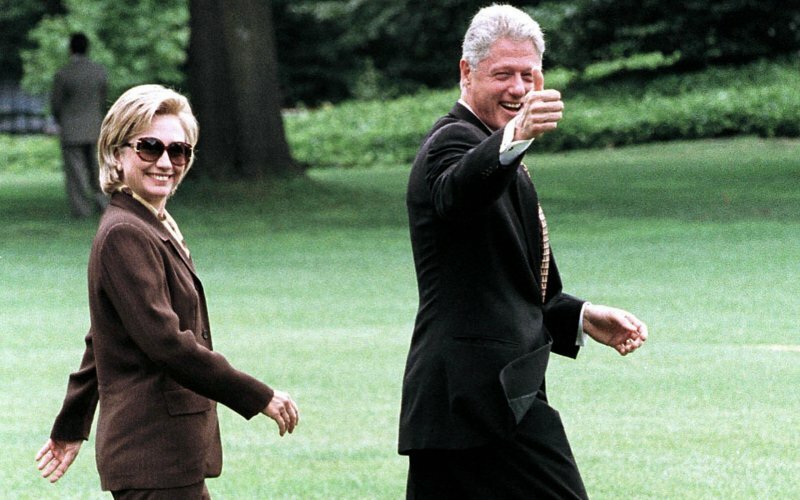 He said he decided to write the book in June 2014 when Laurent Fabius, the French foreign minister, summoned the country’s main weather presenters and urged them to mention “climate chaos” in their forecasts. According to L’Express magazine, unions at France Television called for Mr Verdier to be fired, but that Delphine Ernotte, the broadcaster’s chief executive, initially said he should be allowed to stay “in the name of freedom of expression”.